The annual awards recognize organisations and projects that have shaped and delivered new benchmarks for excellence in the digital and technology space across various verticals. Redefining the skyline of Mumbai with iconic sculptures in residential and commercial construction, The Wadhwa Group was recently honoured with the prestigious Gold award in the category of ‘Best Execution of Performance Campaign’ at the Internet and Mobile Association of India (IAMAI), 6th India Digital Awards. The group was awarded this recognition following a stringent multi-tiered selection process at pan-India level by a jury of 21 members including experts like Apurva Chamaria of HCL, Irwin Anand of OLX India, Gyan Gupta of Dainik Bhaskar and other eminent personalities. The annual awards recognize organisations and projects that have shaped and delivered new benchmarks for excellence in the digital and technology space across various verticals. The awards were given across various categories in digital advertising domain including Best Advertising or Marketing on Mobile, Best Display Campaign, Best Search Marketing Campaign, Best Viral Marketing Campaign, Best Email Marketing Campaign, Best Social Media Marketing Campaign, and Best Digital Integrated Campaign. 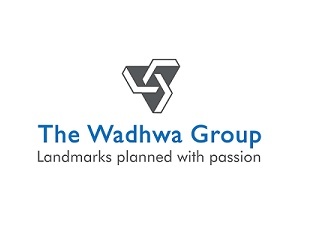 Amongst the total six nominations for the said category, The Wadhwa group was the only real estate company to get nominated and honoured for their excellent contribution in churning the Indian real estate sector by incubating technology and digitalization amongst 700 entries across India. The campaign was executed by Realty Redefined and incorporated an integrated digital strategy offering a Campaign was executed across mediums which includes Google, Yahoo, Facebook, Money Control, Times of India, First Post etc. It was executed locally as well as in NRI regions such as US, UAE, Singapore, UK Etc. thus achieving above 75% enquiries. Real time traffic was analysed using Google analytics to understand user behaviour. Through this, impressions accounting to 10million on social media, reaching out to 7.5million and producing 1829 leads were generated.